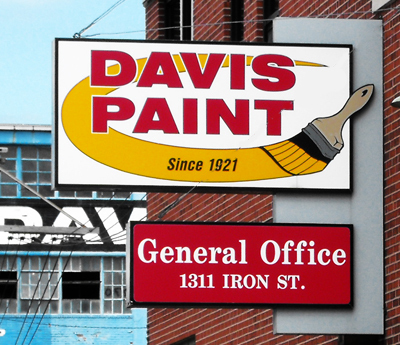 Davis Paint Company’s manufacturing facility is located in North Kansas City Missouri and while creating Davis branded coatings for years we have provided Toll and Private Label services for a multitude of businesses. With an unmatched breadth of experience (our lab averages 38 years of experience), problem solving capabilities (our Customer Service Group averages 16 years of experience) and Sales commitment, our promise is to develop and deliver the product our customers want and expect. Our Sales and Lab departments will work closely with you to evaluate the most cost effective method of producing, labeling and packaging your coating so you can maximize your profits.